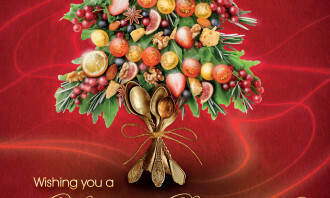 How do you keep your Christmas ads interesting after years of doing seasonal campaigns every Christmas? 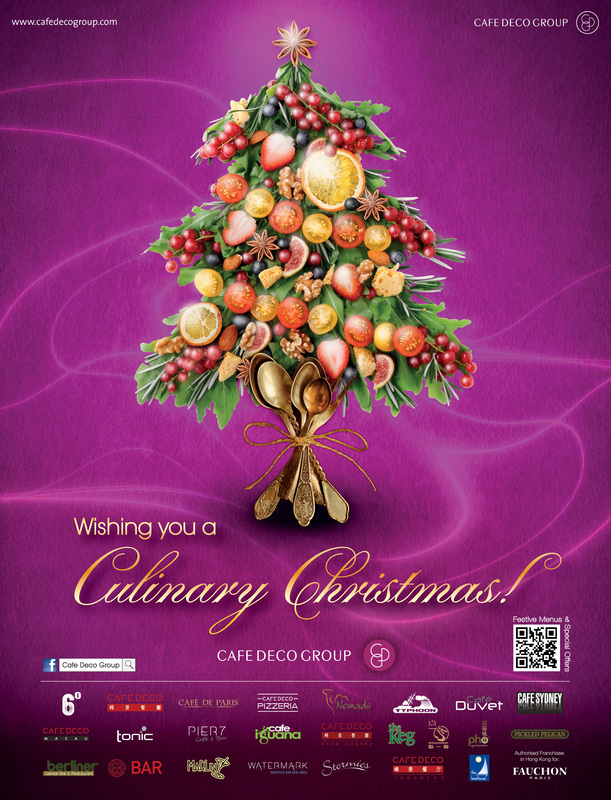 A simple place to start: creating ads in different colours, which is exactly the strategy used by local restaurant group Cafe Deco this year. 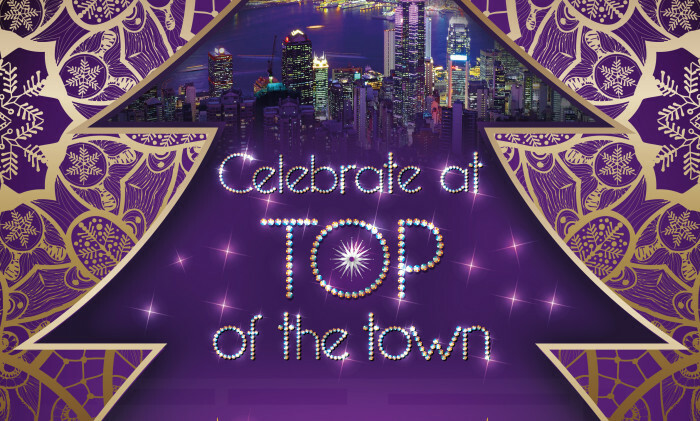 The group launched a series of print ads in various colour schemes, which it placed in lifestyle and F&B publications such as HK Magazine, Time Out Hong Kong, 48 Hours, Crave Magazine, The Standard and WOM Guide. The print ad campaign will run until mid-December. Below are ads advertising the entire group. 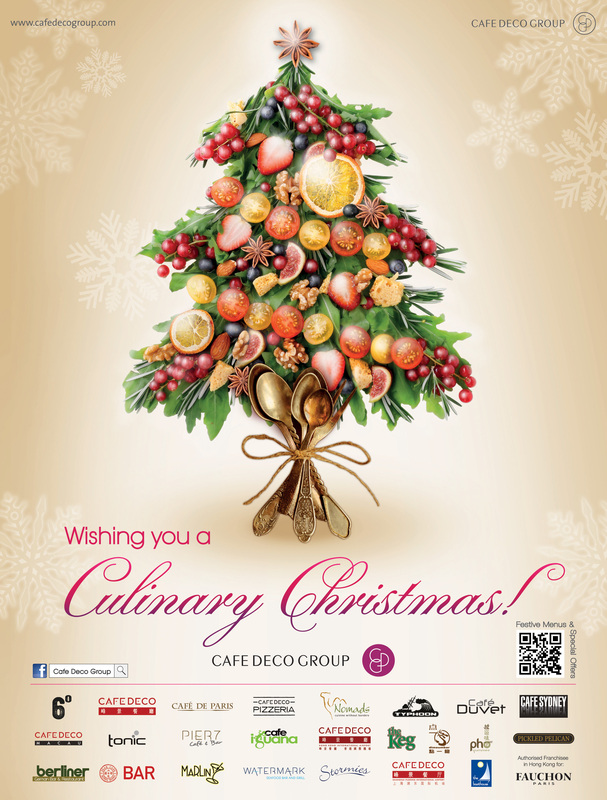 In a traditional Christmas colour, this print ad advertises the entire Cafe Deco Group. 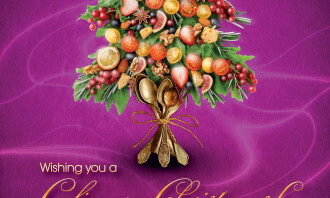 Another one of the group’s ads in purple. 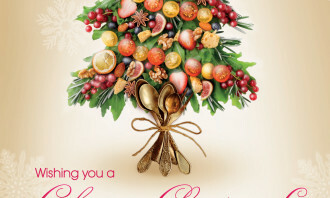 Gold is another colour which this ad is available in. 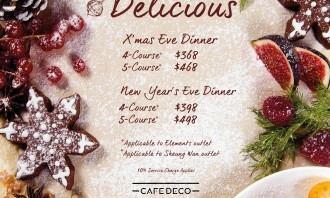 Sheila Chan, director of marketing and PR at Cafe Deco Group, explains the rationale behind creating a variety of colour schemes for the ads advertising the entire group, which have also been placed in online channels. “With red being the dominant colour in festive campaigns, we decided to give our Christmas campaign a new spin this year by introducing a range of background colours,” she said. The colours of the ad creatives are also adapted to the type of paper used by different publications. Chan said gold and silver ads look best in glossy magazines while red and purple ads are more visually appealing when seen in newspapers printed on paper with a matte finish. The ads promoting the entire group were strategically placed before ads for individual restaurants. “The group’s ads were launched at the beginning of the season as an introduction to what we have to offer while the ads for individual outlets were introduced at a later date to provide outlet-specific details about promotions,” Chan said. 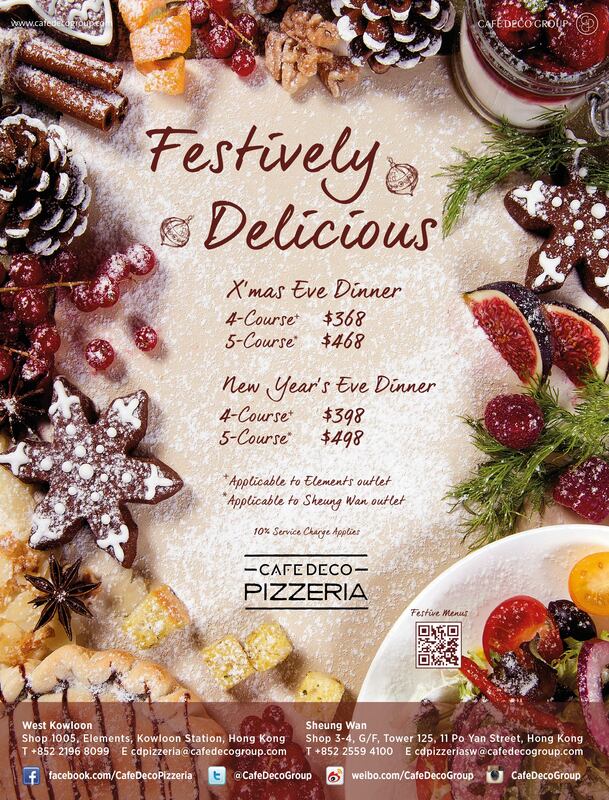 A restaurant-specific print ad for Cafe Deco Pizzeria. 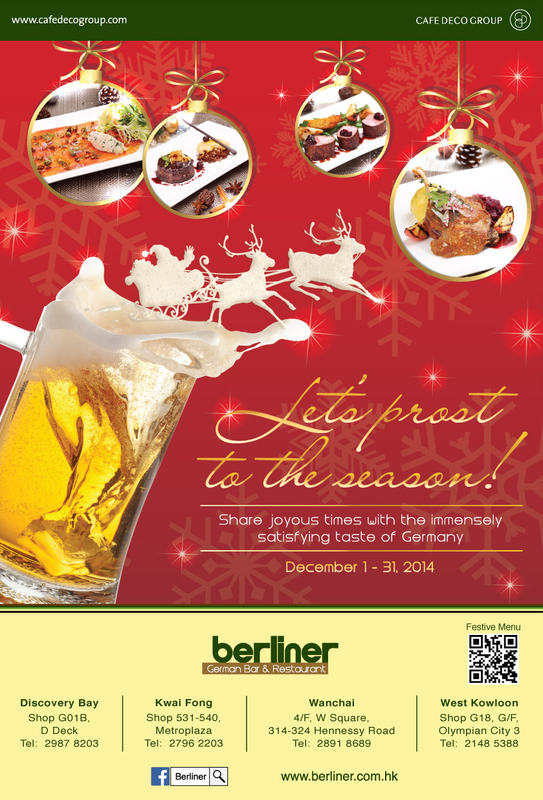 A print ad in a completely different style for the Berliner restaurant. 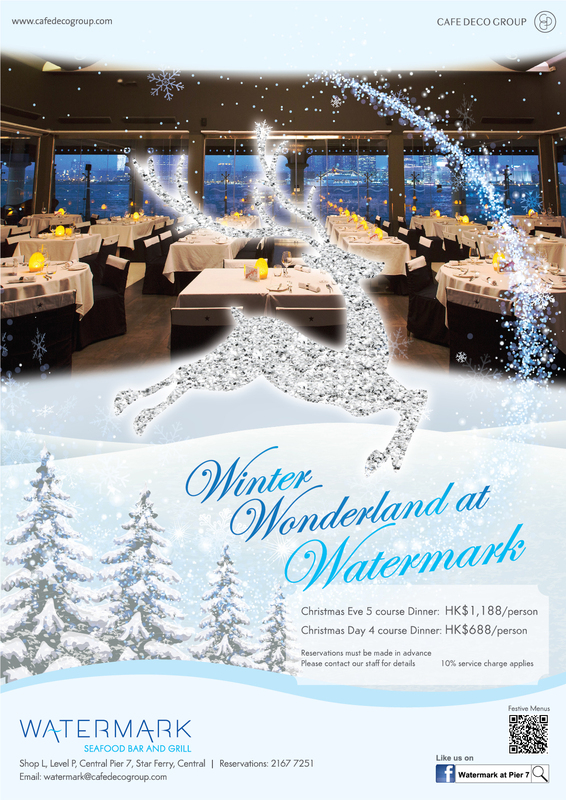 The restaurant Watermark’s print ad. While ads for individual restaurants bear the group’s logo and website, each ad is visually tailored to the brand image and identity specific. 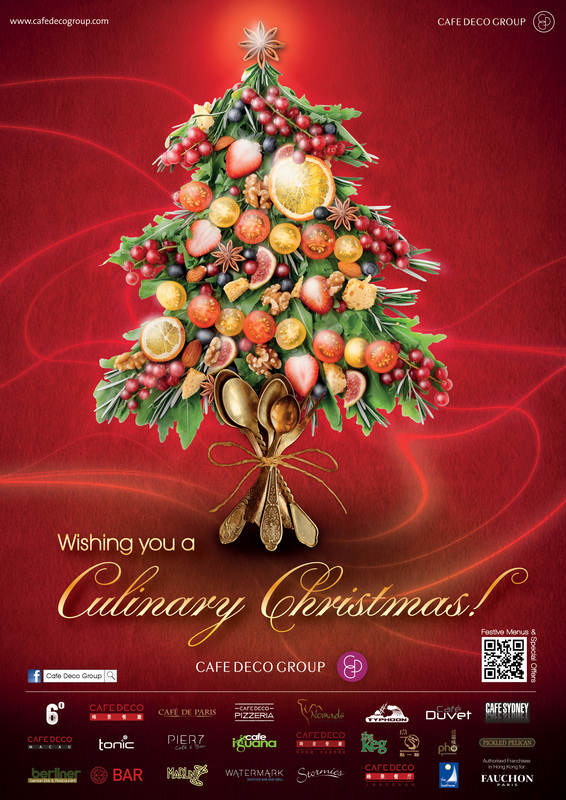 For example, ads for the group’s high-end restaurants such as Cafe Deco and Watermark were designed to build a more refined brand image. Meanwhile, for Berliner and Cafe Deco Pizzeria, which appeal to younger restaurant-goers, their ads were designed to have a more contemporary feel. 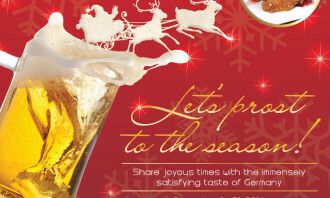 The group also launched a dedicated mini-site as part of its Christmas campaign. The mobile-friendly mini-site will run until early January when it will be revamped for the group’s Valentines Day campaign in mid-January. The mini-site was set up to group together and organise seasonal deals and menus in one place, while offering a platform for the group to promote its gift vouchers, party planning services and VIP programme. “With the growing importance of digital media, we feel in order to reach a greater number of target customers, we must go from printed brochures to online media,” Chan said. 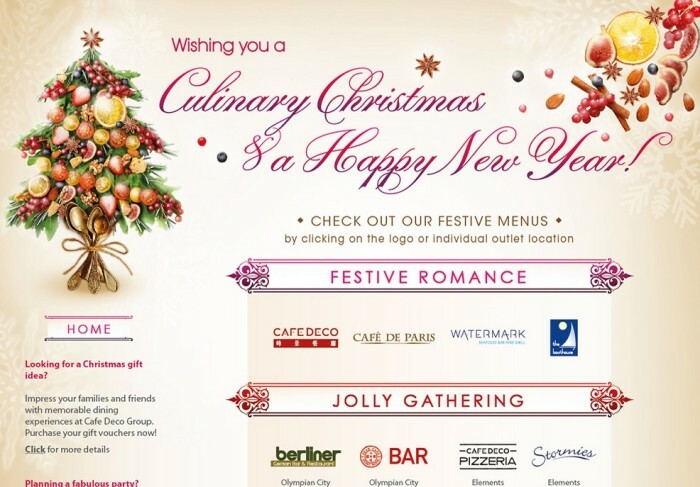 21 of the group’s brands are showcased on the site and grouped into categories such as Festive Romance, Jolly Gathering and Boozy Celebrations. The group recruits customers to join their VIP programme only at specific times during the year, which boosts spending by customers. 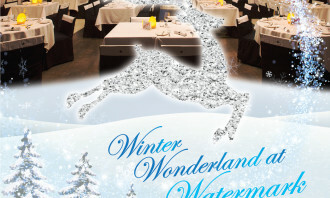 “While Christmas is a very busy time for restaurants, it is also a highly competitive period in the F&B industry during which every dining outlet is pushing out festive promotions to attract customers,” Chan said. She added that the VIP programme can be used to retain these customers year-round after they join the programme. Google hands over the Google Doodle drawing board to the most creative folks around in the Philippines - school kids. .. Joining the team is King Content Sydney’s senior content strategist and editor Daniel Hochuli. ..